If you’re like most employers today, you already use background checks to help make employment-related decisions. But just in case you think you’re immune to hiring bad employees, we offer some compelling reasons to set up a background screening program. And, by the way, even if you do have a program in place, these reasons may suggest ways you could improve it. 1. 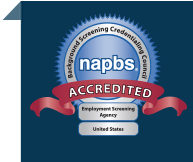 Background screening helps to create a safer, happier workplace. Human beings present certain risks that are always present in the hiring process. You can mitigate these risks with appropriate background screening. Think about it this way: Your goal is to reduce the chances of violent or disruptive behavior in the workplace, and at the same time find employees who will contribute positively. Background records can help to identify character attributes that will help promote a good working environment. 2. Organizations with background check programs attract higher quality employees over time. Background screening can create a virtuous circle in which higher quality applicants are found and hired, thereby increasing the overall quality of the experience in the workplace. This workplace can serve to attract better applicants in the future. Over time, the entire organization can benefit from a better workforce. 3. You can reduce the incidence of negligent hiring lawsuits with screening—and have a better defense it is alleged. Negligent hiring and retention lawsuits can be very expensive, damaging to reputation, and corrosive to workplace culture. Background screening helps reduce the chances that you will have to cope with adverse media or customer reactions due to negative employee action. It also helps to establish crucial affirmative defense by demonstrating due diligence in the event a situation goes sideways. 4. A properly structured background screening program helps you comply with regulation, and meet requirements of clients or partners. Many states, the Federal government, and even your business partners, customers, and suppliers expect you to be able to verify that your employees are qualified and secure. In some cases, the laws define compliance requirements explicitly, and you are expected to know them. Compliance is an increasingly tricky issue for employers since state and local mandates allow employers to exclude applicants with certain histories which may be in conflict with Federal anti-discrimination law (see the EEOC). In that case, the Federal law prevails, and your screening process has to straddle competing demands. Systematic background screening helps you select the right people in the first place, and then provides documentation that you meet standards and expectations. 5. Background checks are an essential part of the verification process to ensure an applicant or employee fulfills the requirements for the job. An obvious benefit of screening is that it is needed to verify that the applicant has the credentials, education, and job history he or she claims. Depending on the job, you may want to evaluate credit history, criminal history, or even perform an investigation into references or personal relationships. 6. Companies can reduce the risk of employee theft or fraud by screening for risk factors in an applicant’s background. Employee fraud and theft impose huge costs on organizations. For example, in retail operations, losses to employee theft are usually the single largest source of inventory shrinkage. While it is difficult to predict human behavior, we cannot afford to ignore it. Therefore, it would be prudent to avoid relying on intuitive feelings to assess a potential applicant. We need solid information to make sound hiring decisions. Quality background screening can help identify the histories and traits associated with higher risk behaviors. 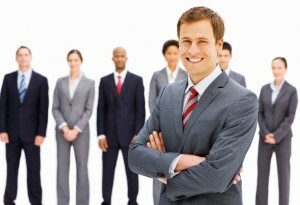 In turn, this helps companies to hire the right candidates for their organization.